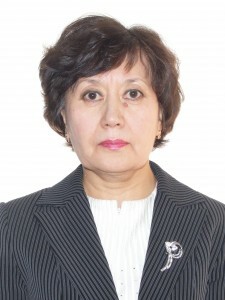 In 1975 she entered Karaganda State University, Faculty of Physics, which she graduated in 1980. From 1980 to 1983 worked as a physics teacher in Karaganda. From 1985 to 2008 taught at the Karaganda State Medical Institute (Academy) at the Department of Medical and Biological Physics. From 2008 to the present, I teach at the Department of Physics of the Karaganda State Technical University. Candidate of Physical and Mathematical Sciences, specialty 04/01/07 – Condensed Matter Physics. I have more than 60 scientific and methodological works.